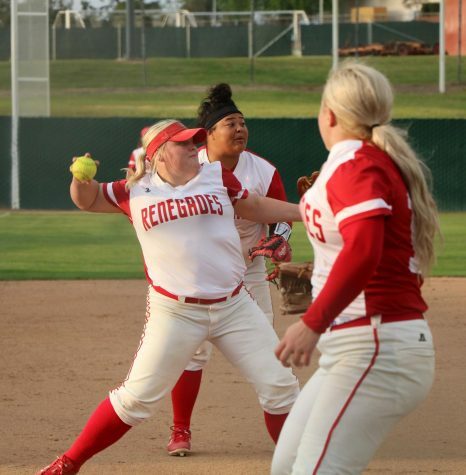 The Bakersfield College softball team capped off a doubleheader split against L A. Valley Tuesday night in walk-off fashion behind Alyssa Gonzales’s three-run homer in the bottom of the ninth inning to lift the Renegades to a 9-6 victory. The first game saw far less action but it also went into extra innings with the Monarchs (15-19 overall, 10-8 Western State Conference – Blue Division) squeezing out a 1-0 victory over the Renegades (15-21-1, 11-7 WSC-Blue). Marina Felipe (7-10) got the start in Game 1 for BC and had 12 strikeouts, but a late game miscue for the Renegades brought in Alondra Rodriguez for the game-winning unearned run off of a walk with the bases loaded. Trindad Lee (7-9) started for BC in the second game and pitched eight innings before Felipe relieved her for the remainder of the match. The Monarchs opened up Game 2 with three straight runs to take a 3-0 lead, but BC responded with two runs of its own. All tied after seven innings at six apiece, Lee doubled and later moved to third, then Gonzales hit a walk-off homer to deep centerfield for the 9-6 win. 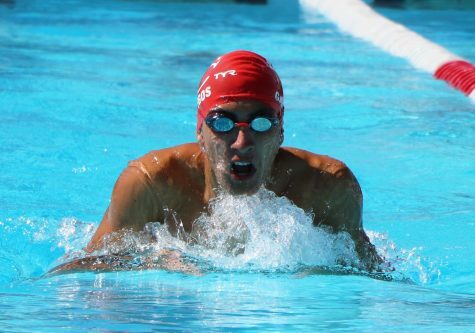 BC is in a three-way tie for second place in the conference at 11-7, but has the tiebreaker over Citrus and will battle with Antelope Valley (also in second place; owns tiebreaker 1-0 over BC) in the mix to close out the season on April 26.